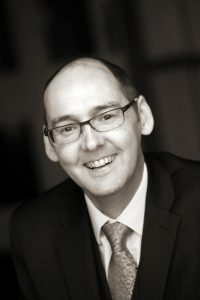 I’m an employment law solicitor – originally from the North West, I settled in the South West in 1992 and after a career in higher education, I qualified as a solicitor in 2005. I work with businesses and individuals on a wide range of employment and human resources issues including discrimination claims, redundancies, issues on the transfer of businesses, enforcement of post-employment restrictions, sickness issues as well as contract and dismissal complaints. My clients know they will always receive no-nonsense, practical solutions to all their employment law and human resources problems. With extensive experience resolving employment disputes, I’m an accomplished negotiator and advocate and represent clients in Employment Tribunals and in the County Court, as well as conducting complicated and high value cases in the High Court and Employment Appeal Tribunal. I’m a member of the Employment Lawyers Association, Industrial Law Society, Law Society and am regulated by the Solicitors Regulation Authority. I give regular training, seminars and workshops to clients and local businesses as well as writing on employment law issues in local and national newspapers and magazines. I am studying for a Masters degree (LLM) in Employment Law and Practice. I am also a Trustee of Wiltshire Law Centre. Siân works as a consultant and has over 20 years’ experience in senior management roles in blue chip companies, including Marks and Spencer and Nationwide Building Society. She has a commercial approach having spent several years leading teams in HR and Operational business areas. 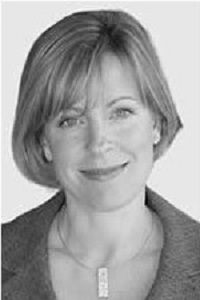 Siân is a Director of Siân Bryant Consulting Ltd and works with Executive Coaching Consultancy. Individual and team development is at the heart of her work. She is a qualified Coach Mentor and holds an Advanced Diploma in Coaching and Mentoring from the OCM. Siân is qualified to administer a number of psychometric instruments with individuals and teams to aid self-awareness and highlight development opportunities. 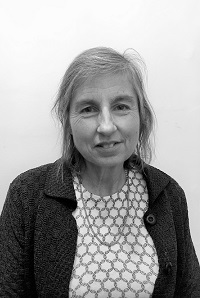 Siân is a Chartered Member of the Chartered Institute for Personnel and Development. Siân can provide tailored one to one coaching programmes to enable individuals to maximise their own personal performance – specialising in coaching directors and senior executives as well as senior HR professionals. What makes a great leader or a great manager? Siân will help you to answer this question for your organisation. She can develop flexible and bespoke programmes that will help you to define the capabilities that your organisation requires, benchmark people against those and provide sustainable development programmes to support them. Charlotte is an experienced consultant HR specialist. Originally trained by the John Lewis Partnership, Charlotte acquired wide-ranging HR experience both in department stores and Waitrose, where she also gained (and retains) full membership of the Chartered Institute for Personnel and Development. Charlotte makes good use of her blue chip commercial experience for all aspects of the HR journey – from recruitment to retirement and all the bumps in between – particularly in writing, updating or adapting HR policies suitable for the smaller business. Her main areas of expertise and interest are carrying out investigations and assisting employers with disciplinary and grievance issues. Charlotte now runs her own HR consultancy, ObolenskyHR and works with employers in hospitality, IT, retail and architecture.